This is a project that I've spent a ton of time and effort researching. I started by drawing up an early version of my plans for this model back in 2007, and followed it up with two study models (here and here) at two-thirds scale to help refine my plans (and improve my model building abilities). Originally I had wanted to build this model out of the same materials as the original (which was mostly made out of kiln-dried sugar pine), but I don't have any of the equipment or experience to deal in wood, so I'll stick with what I know I can do. For a bit of history on the original model, you can check out this page I put together. I decided that I'd begin with the secondary hull. 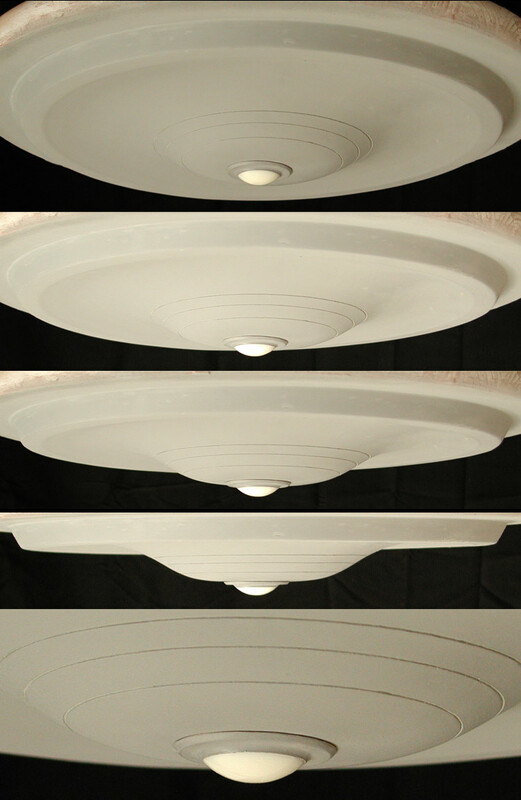 The series of images below show the steps I've taken to build a master (more of a pre-master). It started with cutting out pieces of foamcore board and building a base structure. 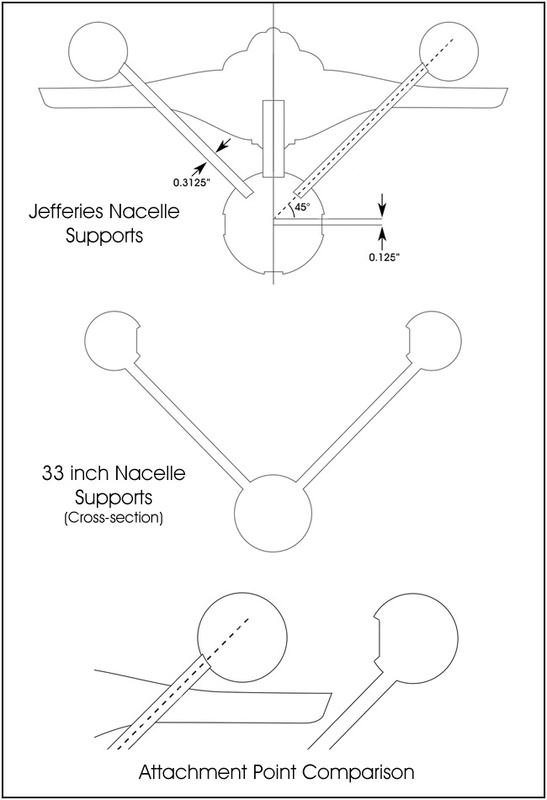 Because this will be the master for both sides, I've included holes and alignment channels for both sides for the nacelle support pylons to slide into. It is easier to build the parts with both holes and fill in the extra later than to build it without any and add them later or build two of these. 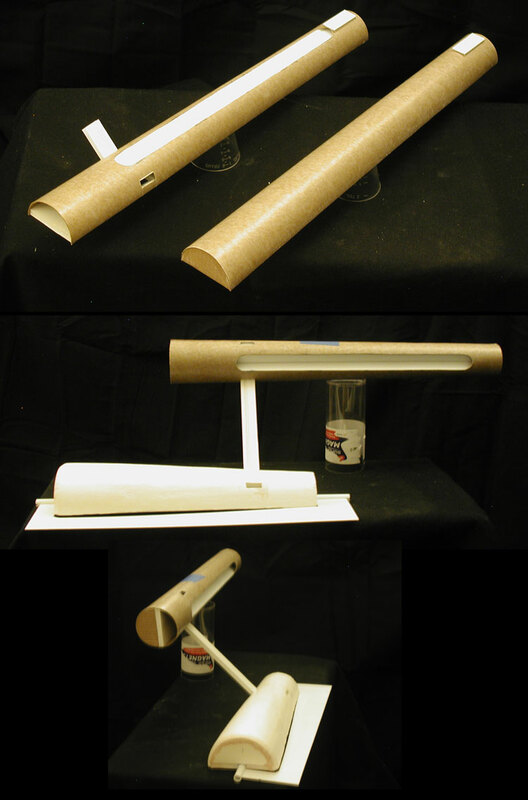 I'll be doing this exact same thing when I build the inboard nacelle master so I only have to build it once. Next I put blocks of styrofoam in to the openings and used a hot wire to cut them to the general shapes I needed. And then with them glued into place, I used a template of the secondary hull shape to lay out a surface made of hydrocal. I let that dry/cure and then filled in any gaps that showed up. That is about where I'm at right now. 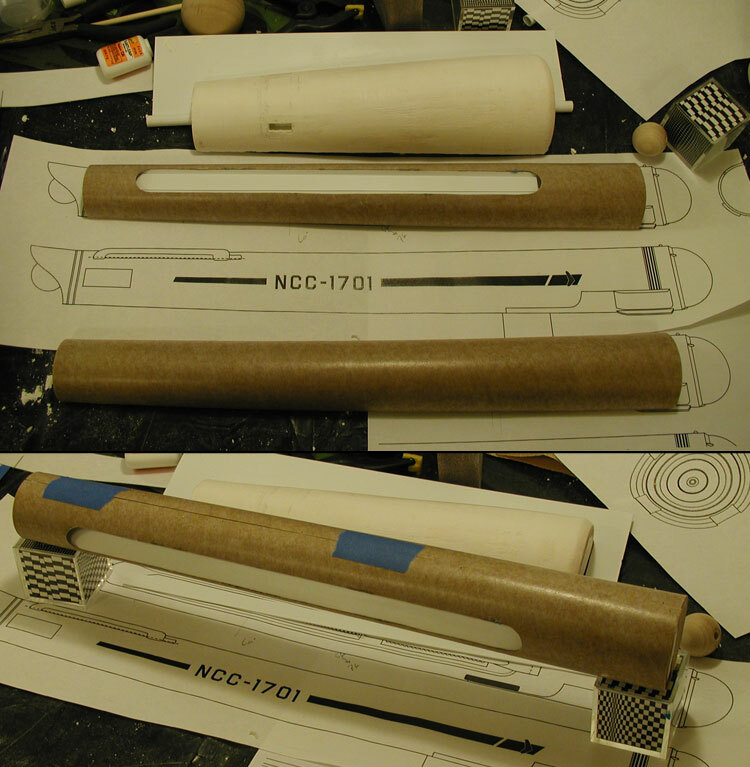 This isn't all that different from how I made my primary hull for my one-sixth studio scale 11 foot TOS Enterprise, but I figured I'd show how these same steps could also be used to make a little more complex shape... so here is the start of the (pre-)master to the secondary hull of my Phase II Enterprise kit. 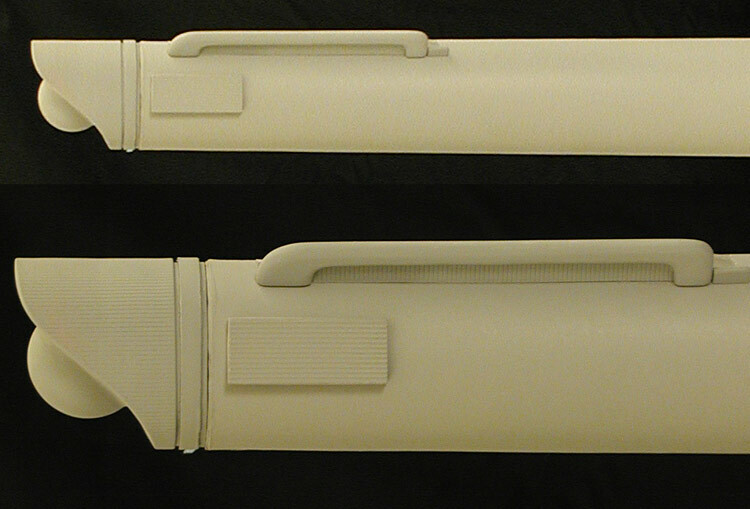 And no, this model is not going to become a kit... nor could it's parts be used to convert the Round 2 1/350 TOS Enterprise (which is smaller than this model by more than an inch... 32.4 inches compared to 33.75 inches). So now I'm waiting a while for the hydrocal to completely dry/cure before I add on a surface that I can work to a smoother finish. 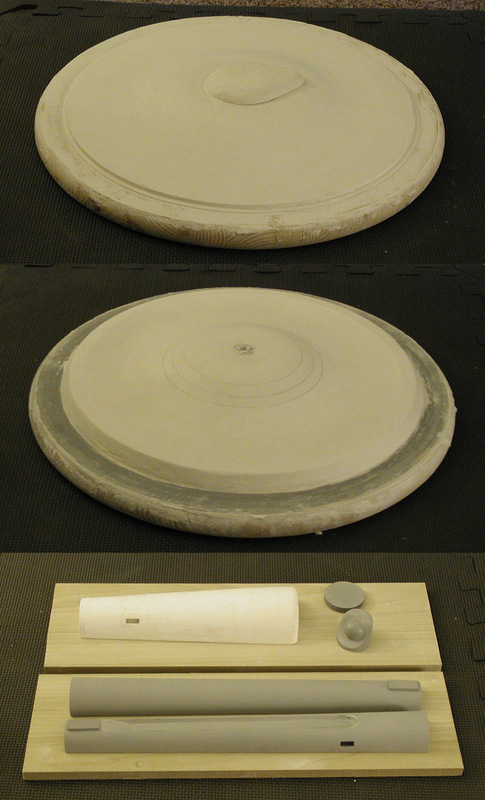 When I'm all done, I'll make a mold and cast two parts. 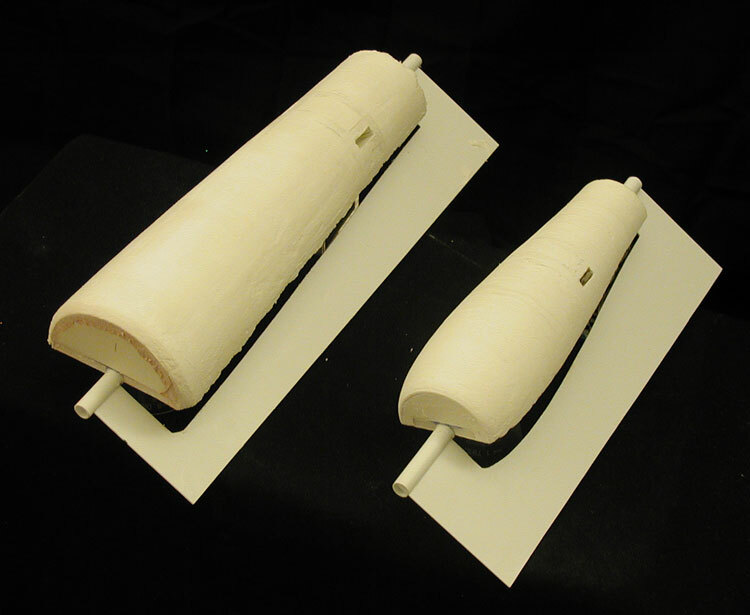 Below are shots of the start of the inboard and outboard nacelle masters, first together and then separate. There isn't a lot of stuff going on with the outboard master. The inboard master has the channel (which I've started) and the attachment points for the nacelle support pylons. So there is going to be a bit of work needed to engineer all that before I get anywhere close to making molds. A lot of this is going to look like the 11 foot model, but I'll point out where the 33 inch model differs as it becomes easier to see. One thing that is different here is that the inboard channel extends further back (running into the rectangular box features). I think this was a result of the channels originally facing downwards. Datin seemed to have changed the orientation while building this model, and then carried the changes over to the 11 foot model (making adjustments) when they started it a few weeks later. 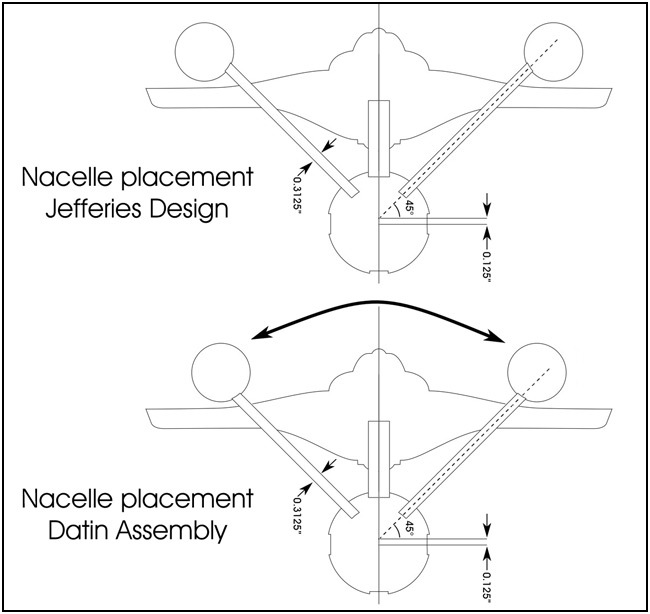 The main reason that I believe this is the case is that had the channel originally been on the inboard side of the nacelle, the nacelle supports would run into them. And I don't think this was the only change as the top of the support pylons need to be fitted to the attachment point, so I believe that they were also swapped at the same time... which is why I think that the inboard vents on the pylons were originally supposed to be pointing outwards (like in many of Jefferies drawings and how he went back to this configuration when designing the Phase II Enterprise). 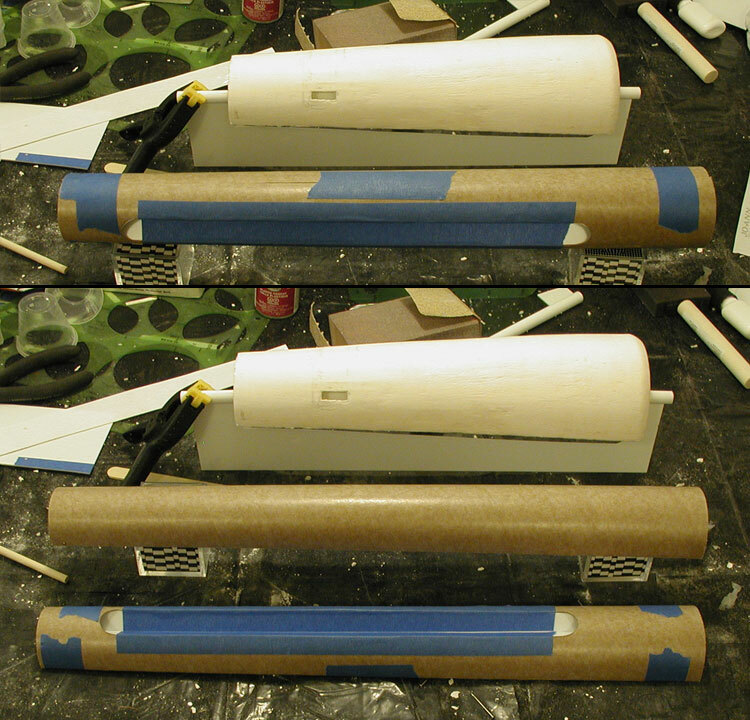 I cut the openings and started the channels for the nacelle support pylons attachment points. These channels are intended to help align the parts and are the same size as those on the secondary hull master. I cut out a piece of foamcore board that fit into those channels and tested the nacelle masters together with the secondary hull master to see how things are working. The secondary hull master is on it's side, but the main thing I was looking for was the center line of the masters to be parallel to each other... which it looked like it was when I tested it (for both sets of channels). I've left myself enough maneuvering room to make adjustments with the final parts later on, but I wanted to have the masters (and molds) be as close to a perfect fit as I could (specially given that all this is hand made... but then again, so was the original model). I haven't documented most of what I've been doing as it is essentially the same things I did on my one-sixth studio scale 11 foot model. 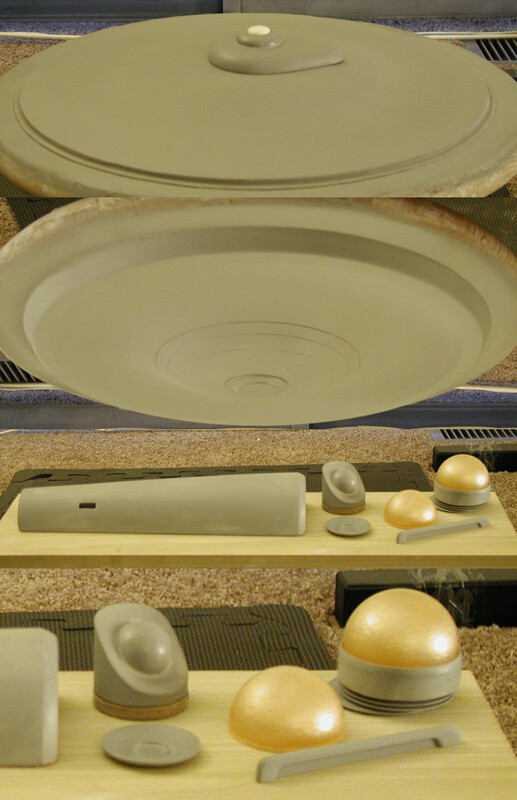 I included a test pull of my Enterprise name plaque (which I kept to try out painting/aging ideas on). 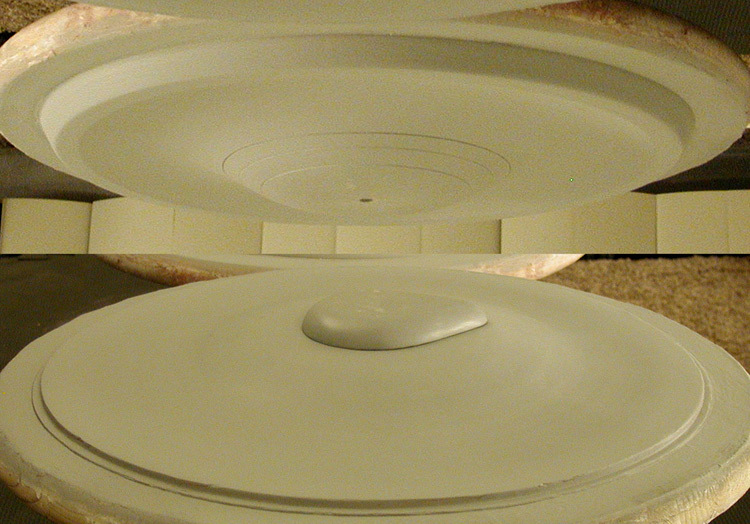 There has been some more work on the inner nacelle channel, mostly sculpting the ends. 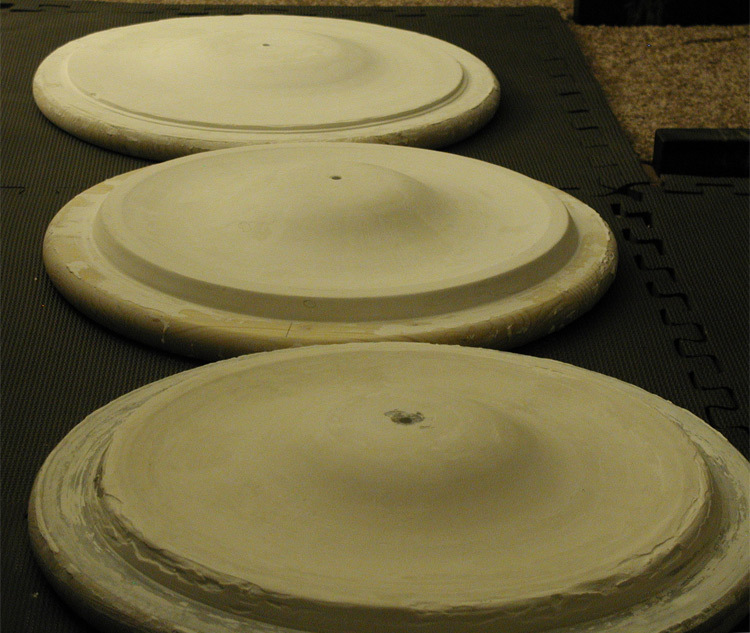 I started making the forward rings (which are currently just four disks). Building those is pretty straight forward... cut out a disk of thin styrene and a smaller disk of thick styrene, glue them together and fill in the stair step between. It doesn't take much effort and when I put all four together I get what I needed. 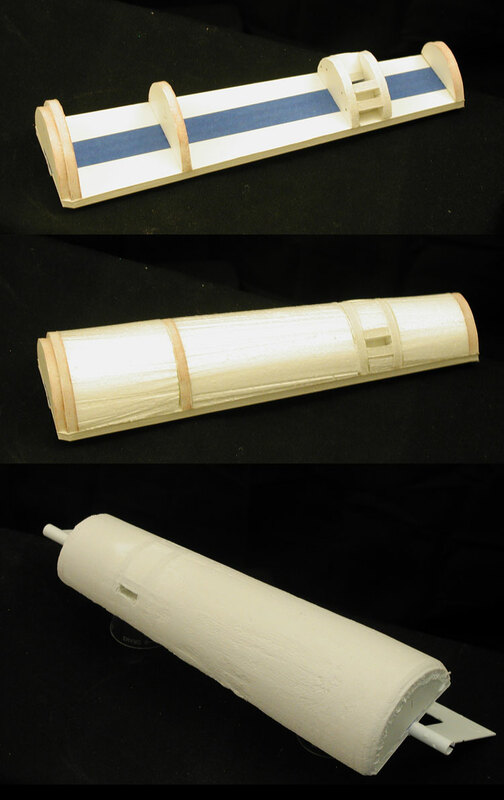 Because it took longer to do, I did take a series of images of the rear nacelle cap being constructed. 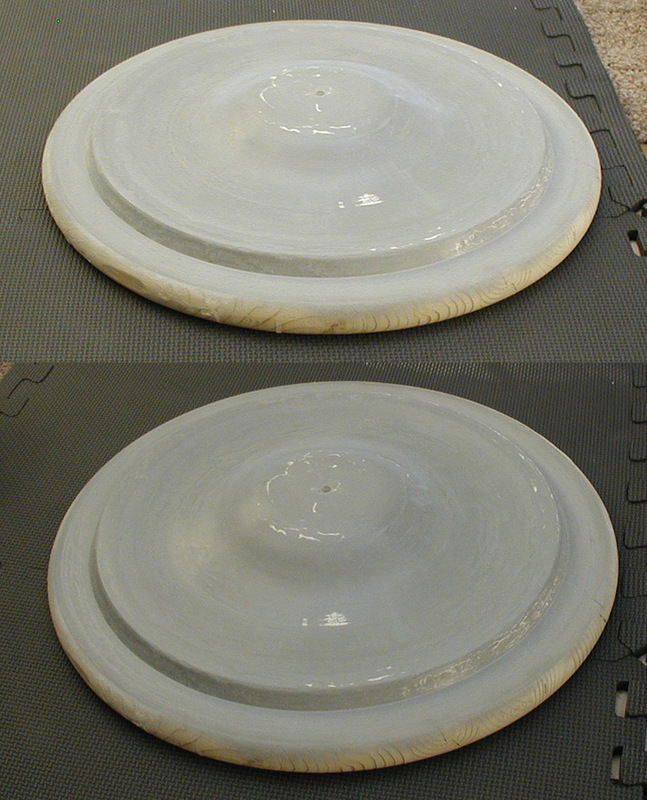 For this I cut three disks... two were annulus, with holes large enough for the rear cap's sphere. I cut the annulus into two parts off center which gave me a total of five structural pieces to help hold the ribbed outer styrene sheet in the form of a cylinder. I later added a few more pieces of styrene to close up some openings and then used Aves apoxie sculpt to fill in the remaining open face... being sure to keep the hole needed for the sphere. It still needs work, but you can get the idea where it is at. And again, these are all masters... none of these parts are going to actually be on the final model. 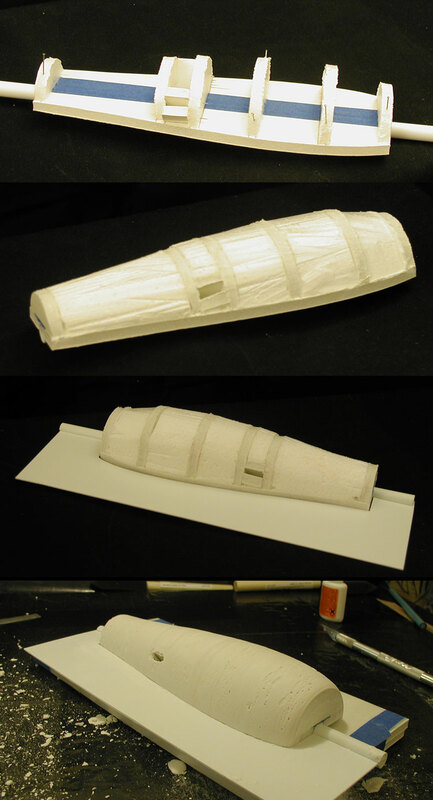 After all, that primary hull was really a test to see if the process would work before applying it on this model. I'm not sure if you guys are all that interested in this build, but I thought I'd throw up some progress shots... I've done some work on the nacelles and started on the primary hull masters. The nacelle halves and secondary hull half will be mounted to wood boards before I make the molds (though they aren't mounted just yet). 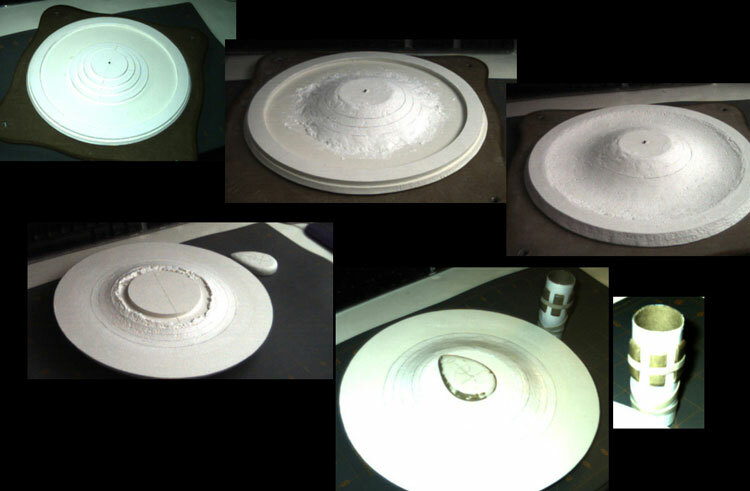 I'm using 18 inch circular table tops as the bases for the upper and lower primary hull masters. I'll most likely start laying in the hydrocal on those in the next day or two, though I'm expecting to have to do it in a number of steps over the next week to get the primary shapes I need. That's a lot of work and it's looking very good already. Keep it up! I'm enjoying studying your build technique almost more than the resulting parts..... and I'm surprised at some of the materials you're using. Styrofoam? Hydrocal? Isn't Hydrocal like plaster of Paris? Ahh! Yet another piece of art in progress. These are great threads to follow,especially the master making process. Are you lighting the final product? At any rate, this will be a nice size ship. I find this build fascinating. I'm very interested in the techniques, like your homemade lathe process for the primary hull. That's pretty much regular Bondo? I'm curious what other tooling and processes you use. Yes, and you could use that just as well. 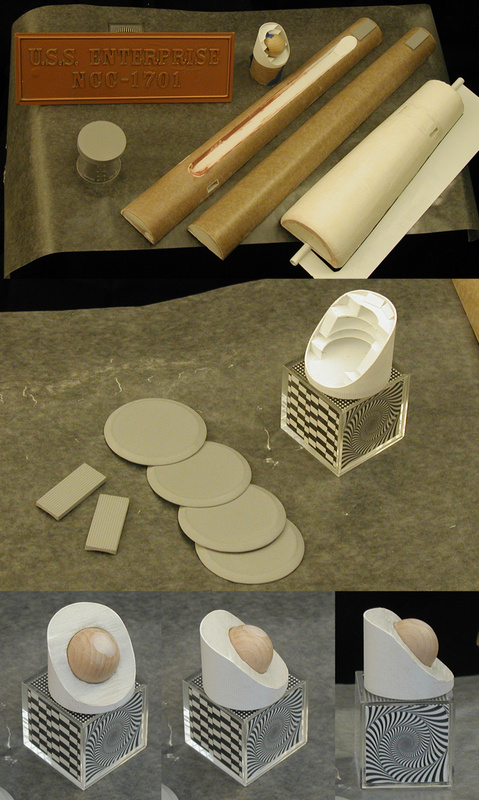 In the end, the materials used need only be geometrically accurate enough when I finish with them to make a mold. This model will be made mostly of TC-1630 A/B UltraCast and Alumilite White, but for the masters, what ever works to make the shape. A great tutorial on how I'm making some of these shapes can be found here. I've made a little progress on the lower primary hull master, but there is still a lot of work to be done. I realized I need to fix a flaw in the pattern piece, and I noticed that one of the boards I was using warped, so I decided to build two lower primary hull masters and see which one turned out the best. The top primary hull master is now at about 95% done in that shot. Right now (since that last photo) both lower primary hull masters are looking very good (though I'm most likely not going to use the one on the warped board). I've drawn on the underside rings to make sure that they match up with all my research. 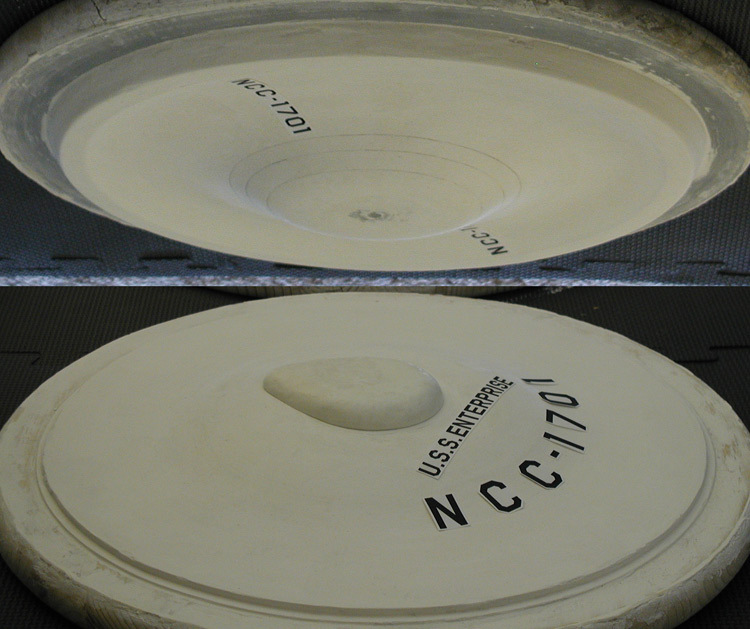 The best thing is that the NCC-1701 decals that go between the engraved rings and flat edge fit perfectly compared to photos of the original model, so I'm happy with them. In this set of progress shots I've included the start of the B/C deck structure on the top primary hull master to get a feel for how it is progressing. And this is a test placement of the decals on the masters. Recently I've been mostly puttying, sanding, primering and then repeating the process... attempting to get the surfaces to the best state I can. I've also started in on the bridge and done some more work on the secondary hull master. 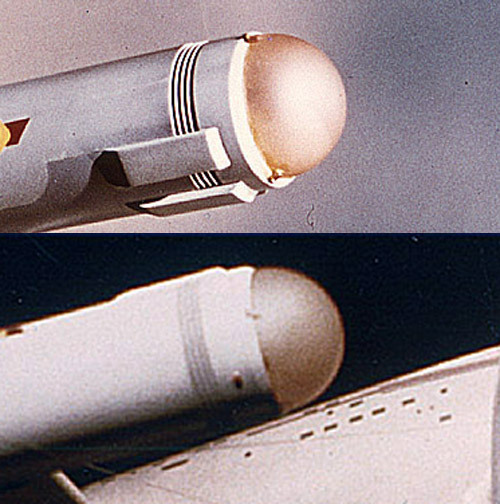 I included a shot of the original model for comparison in the series of images below. Both the bridge and the B/C deck structure are riding a little high, they'll sit lower and flush to each other (and later the upper primary hull with the actual parts) as I get closer to finishing them. The biggest thing is that I pulled my first parts for the model... the nacelle domes. But yeah, I'm still plugging away at this. The bridge and B/C deck structure are now a single piece (the dome in the images below is a stand in for sizing purposes). I've continued work on the rear nacelle end cap assembly and made quite a bit of progress on the front nacelle end cap assembly (now that I have nacelle domes). I've also started in on the lower sensor dome platform, intercooler and deflector masters. I've continued to work on the surface of the upper and lower primary hull masters, the secondary hull master and the nacelle masters, and I'm feel pretty good about their progress. I figure I'm not too far off from making molds from those. Still a work in progress, but at least it sorta looks like what it is supposed to be. For both the upper and lower domes I'll be casting them in clear with a small amount of transparent green. I don't have transparent green dye right now, so I'll have to wait to actually make the final parts. I think I'm almost ready for making molds of all these masters. There is just a handful of little things to fix/finish and they should be ready to go. Some aspects of the model just can't be done with the masters, so I need the final parts to go forward.